Carlo Infante (? 1935 - May 12, 2005[Note 1]) was a Tektronix engineer. He earned a PhD in physics from the University of Rome in 1959 and worked at The Frascati Electron Synchrotron facility in Italy. 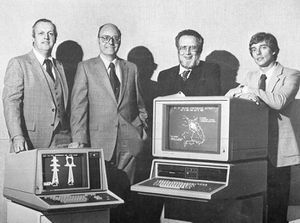 In 1961, he joined Tektronix in Beaverton, where he played key roles in the development of special-purpose CRTs and display design. He later went to work at Xerox Corp., where he worked on one of the first personal word processors, and Digital Equipment Corp., among others, before setting up a consulting practice. 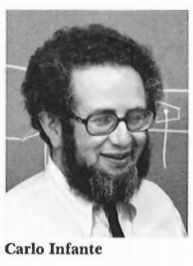 In 1996, Infante was named a Fellow of the Society for Information Display. This page was last edited on 20 June 2017, at 14:26.